The art of designing something is very creative but when it is mixed with the right typography, it can be lethal at times. Therefore, if you look at a designer final product. It will definitely reflect his innovation and art. The textual representation of an idea in a design can be effective. Mainly what comprises of design is visual presence and texts embedded inside. Some say that it can be a deciding factor of success or failure for a designer. Hence, it is safe to say that when we look at something from a wider perspective and through the eyes of an end user. We understand the logic that surrounds it. Here is an example to clarify it. Let us say you go to a site. You really have a great writer, but the content present on site will be useless to the end user if not presented in the right spirit. This is where a designer can make a difference. Talking about any field there exists. There would be professional and beginners. Therefore, how to identify between a great professional is one thing. Before they go about diving into anything. They do comprehensive research on the subject. In the case of typography, it will not really work until you make it happen. Identify the purpose first afterward work to align the text with the visuals. If that combination of purpose and typography really aligns together, then you win the game. Secondly, it is important to consider the audience for which you making this end product. You can use many factors like age, gender, interests etc. Well, how would you define a great font? Well not by the looks or fancy look of it. It will be through the purpose similarly. When talking about fonts. It should be easy to read and are more user acquainted. Talking of readability and user-friendliness gotham font free is really worth a try. Similarly, not every font can be used for the header and not every font is good for the body. Therefore, it is a matter of decision-making based on experience. 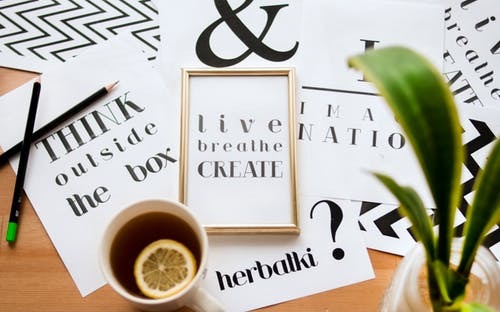 Secondly, the font is also a very important deciding factor for the audience; bigger and bold fonts should be used but based on the situation and demand of the goal. Right styles in a text can really make a difference for the end too. Talking about colors. They have a great impact based on a psychological point of view. Why people prefer interactive visuals and the right scheme of colors for daily wear, it is a mind game. Hence, when it comes to the point of typography, playing with the right colors is a must thing. Well, how do you do it? Keeping in mind the purpose and audience, you can define a way to make it to the heart of the audience. Similarly, it’s important to keep in mind the theme of the website or blog before making any final move. It is a hierarchical balance to keep harmony throughout the piece of work. Colors have a lot of effect on basic human nature. If the mixture all of it makes it purposeful, then you have won the battle. This is how you can work around your designing skills for topographies. It is never a fixed rule. It’s all about the experimentation. If an experiment is done keeping the creativity intact. You can expect some good results at the end of the day. So, keep up and keep learning.